Experience a little-known side of Texas culture, eat at quaint hometown restaurants and browse local historic sites as you visit a few eclectic local shops in Giddings. Located among verdant rolling hills halfway between Austin and Houston, Giddings boasts plenty of small-town allure with a one-of-a-kind heritage. Although small in size, if you spend any time here you’ll discover there are many things to do in Giddings. Whether you’re on a road trip to see the Painted Churches of Texas, to visit historic Texas Courthouses or to check more Texas State Parks off your list, Giddings is a great place to visit. Continue reading to discover what this town has to offer. While in Giddings, stroll around the courthouse square and view the beautiful Lee County Courthouse . This courthouse was built in 1899 with all the grandiosity of the Richardsonian Romanesque style of architecture. It was a filming location for Gone to Texas with Sam Elliott starring as Sam Houston. Off the square, is the 1876 First Presbyterian Church, one of the oldest churches in continuous use in Lee County, and the lovely Schubert-Fletcher House. The Schubert-Fletcher House was built in 1879 by August Schubert for his wife and 10 children. The Schubert’s were a founding family of Giddings. Also located inside the Fletcher house is the Lee County Museum and the Giddings Chamber of Commerce & Visitor’s Center. 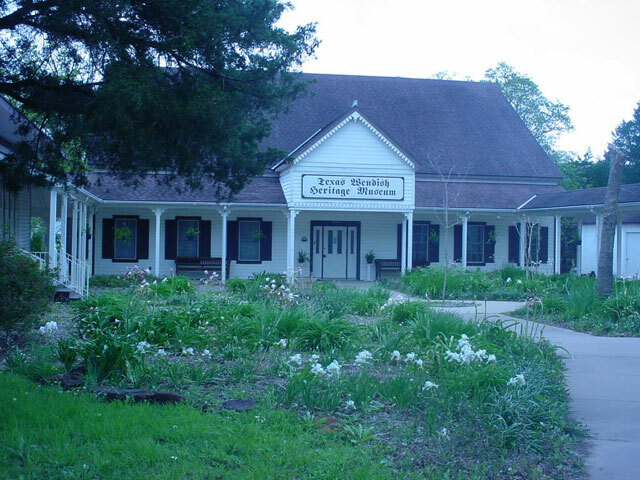 The Lee County museum displays the history of the county as well as Giddings and its early railroad beginnings. At the Visitor’s Center, you can find helpful information, maps and brochures of items of interest in the area. Giddings, and the surrounding area, was the final destination of many Slavic immigrants (known as Wends) from Lusatia, an area in eastern Germany. If you’re curious about the Texas Wends, a visit to the Texas Wendish Heritage Museum in Serbin is a must. See relics like folk dresses from Lusatia, letters, and the colorful painted Wendish Easter eggs. Just down the street stands St. Paul’s Lutheran Church, one of the treasured Painted Churches of Texas. Built in 1870, this church is a beautiful depiction of the Wendish culture and the Slavic immigrants’ experiences coming to this country. Wendish culture is also celebrated by the Annual Wendish Fest, held the fourth Sunday in September. Listen to traditional German and Sorbian folk music, watch performances of traditional dances, and see egg decorators demonstrate their craft. Plenty of food, including homemade baked goods, will be on hand when your appetite kicks in. There are a number of stores in Giddings that are well worth the drive, so make some space in your bags for some interesting finds. There are a few local specialty stores well worth a look, such as Gourmet Divas, Ashley’s Attic and The Grapevine. At Gourmet Diva’s you’ll discover the joy of cooking with top-notch cookware and utensils, delicious spices and dips, fun gifts and just about anything you could want in the kitchen. Ashley’s Attic and Grapevine offer a delightful shopping experience with designer jewelry, clothing, shoes, bags & accessories as well as other interesting gifts and novelties. For antique enthusiasts, you’ll find your niche at Whistle-Stop Antiques and Roadhouse Antiques. Plan to spend some time walking around Whistle Stop because there are so many booths inside with just about everything you can think of, plus they also hand out free popcorn to patrons. What’s not to love about that? Roadhouse offers “This junk is for sale!” with old bed frames, jewelry, books, windows, doors, vintage tins, and so much more. Not far from Giddings is the Stuermer Store, open on weekends. Grab a burger and a malt at their saloon while you’re shopping. You’ll find a little bit of café, convenience, antiques, souvenirs and history museum all included. So, leave some extra space in the car. After all, you might find something you just can’t leave behind. Giddings has two beautiful city parks for you to enjoy during your visit. Play some tennis or baseball, go swimming or watch the kids play at Veteran’s Park, conveniently located just off Highway 290. Or have a picnic at lovely Simmang Park under the covered pavilion or on the grass. Simmang park has a country duck pond with an easy walking path around the park and the Hilton Lee Smith Field. Golf enthusiasts will love the charm of the Giddings Country Club and Municipal Golf Course. There are nine holes of enjoyment, situated in a quiet country atmosphere. The Club House is the perfect place for parties, graduations, weddings, and reunions. For history buffs, take a Texas Historical Marker Tour of Lee County. There are about 40 markers within Lee County, about 20 of these fall within the city of Giddings. The Chamber of Commerce & Visitor’s Center can supply guests with more information or it can be found online. On the outskirts of Giddings, less than a 45 minute drive, is Lake Somerville State Park & Trailway which includes the Nails Creek and Birch Creek units. These State Parks display this region of Texas in all it’s beauty. There are more than 20 miles of trails where you can hike, bike and ride horses (BYOH or bring your own horse.) On Lake Somerville you can go boating, water skiing, kayaking, and fishing as this is a great place for bass and catfish. Bastrop State Park sits southwest of Giddings and provides hiking and biking trails of its own, as well as a wealth of scenic campgrounds and a lake to swim in. Nearby Buescher State Park provides fishing, nature studies, and geocaching, to name a few of the many things to do. studies, and geocaching, to name a few of the many things to do. For more outdoor recreation within Giddings itself, play some tennis or baseball or go swimming at Giddings Veteran’s Park, or play a game of soccer or baseball or have a picnic at Giddings’ Simmang Park.